The airport is also known as Silicon Valley’s Airport, due to its close disposition. Being the second-busiest of the three Bay Area commercial airports, it handles traffic to and from United States and to South East Asia. SJC has been the fastest-growing airport in America over the past couple years, adding lots more flights and loads of new nonstop destinations. It serves over 12 million passengers annually. San Jose airport is composed of two passenger terminals, Terminal A and Terminal B. The terminals are connected airside. The airport offers 6 parking options. Parking lots security is provided by San Jose Police Department patrols and 24-hour lighting. There are also complimentary jump starters, electric vehicle charging stations, inter-terminal shuttles and parking locators available. There are three short term parking lots, namely: Hourly lot 2 (Terminal A garage), Hourly lot 3 (Terminal B garage) and Hourly lot 5. Short-term parking lots are located facing both Terminals A and B. It is the most recommended options to either picking up or dropping off passengers. It is ideal for short stay parking. 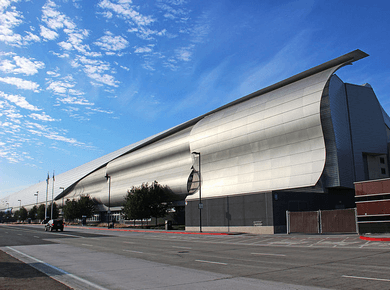 For San Jose airport long term parking there are also three lots available: Daily lot 4 (This parking lot is located on the south of the Rental Car Centre. You can get there by the free airport shuttle bus from Terminal A and Terminal B), Daily lot 6 and Economy parking lot 1. San Jose airport economy parking lot has 1,673 spaces and is located in the north of Terminal A.
San Jose parking fee for Economy lot is $8 per day. All the others lots are $2 per 20 minutes, but the 24-hour fees are different: $24 for Hourly lot 2, $30 for Hourly lot 5, Daily lot 4 and Daily lot 6 and $38 for Hourly lot 3. You may use your San Jose parking coupon for airport parking discounts.